Did you know that no one else in the world has a retina quite like yours. Retinas, like fingerprints, are so unique they are often used for security scans as a means of identification. At Contact Lens Associates we understand that, just as no two patients' retinas are the same, neither are their vision needs. 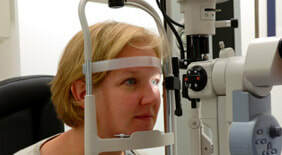 The doctors and staff are committed to providing you with an eye exam, contact lenses and eye glasses that address your unique vision requirements. 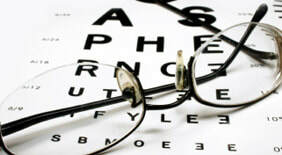 From the moment you contact our office, our focus is centered on your individual eye care needs. 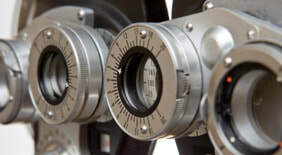 Optometrists David Barrett, OD, Alice Baumstark, OD, and Brian Seader, OD will provide you with a comprehensive eye exam that is tailored to meet your specific visual and health needs. Patients have been returning to Contact Lens Associates since 1980. They refer friends and family to our practice, because of the high level of personalized care they receive from our optometrists, and our warm, professional staff. Downloadable Forms - Get in Touch - Web Design and Hosting by MIS, Inc.